Economy Tire employees are trained in very strict quality and safety processes. You will receive the best product at the best price knowing that the highest standards are applied to the product and services that we offer. Our processes have been perfected in such a way that you will get the mileage you need with the quality that you can trust. 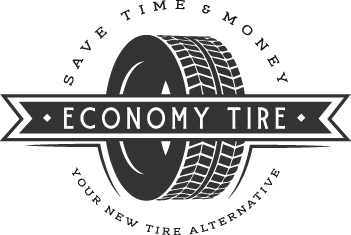 Economy Tires 4 STEP PROCESS for quality and dependability gives our customers the confidence that they need. Visual Inspection – will capture any imperfection so that no below standard product will be used. Inflation – all used tires will be inflated to set standards to give that extra opportunity to avoid any irregularities. Water bath – by submerging the inflated tire in water, it will allow for the smallest of issues to be recognized. A final check is completed once the tires are installed. Our service technicians are attentive to all detail so the customer will drive away feeling confident in the safety and quality of the products. Choosing to buy tires used has many advantages! For many customers, our used tire selection has provided a cheap and convenient alternative to buying new. The prices for used tires are dramatically less than new tires! Buying used is the perfect option when only one of the four tires is needed for replacement. Planning on selling your vehicle soon? Is your lease almost up? Used tires can be the perfect, cheaper alternative when getting ready to part ways. Excessive tire wear due to vehicle damage/front end issues can be costly. Buying used helps diminish the effect on your pocket book. Getting your teen their first car? Used tires can be a cheap and SAFE alternative until they are ready for their next car.